Active and enterprising wine-growers, the Latours settled in the village of Aloxe-Corton in 1768, buying up vineyards in this famous appellation and gradually establishing a large Domaine through inheritance. It was in this manner that the Latour family acquired parcels of "Clos de la Vigne au Saint", "Les Chaillots", "Grèves" and "Bressandes" which have now been in the family for more than 270 years. After the Second World War, with the lowering of customs barriers, the higher standard of living and the increasing demand for fine wines, the wine-growing regions of France flourished. 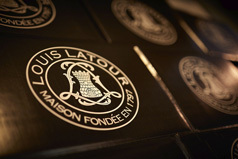 Maison Louis Latour rapidly developed as a strong brand name which acquired international recognition. Since then, the wines of Maison Louis Latour have appeared on the wine lists of memorable occasions, notably during the visits of foreign dignitaries to France. In the constant search for modernisation and technical progress, the sixth Louis Latour has built modern installations on the outskirts of Beaune and sells his wines, with the famous Louis Latour logo, throughout the world. In addition, he has established subsidiaries in London and New York.  In the same spirit as the wine-makers of the New World, he has in the Ardèche, half way between Burgundy and the Côte d'Azur, planted Chardonnay and built winery installations allowing him to greatly increase the volume of sales of the famous grape variety. At the same time, he has continued his role as buyer and shipper of a range of red and white wines from the great vineyards of Burgundy. 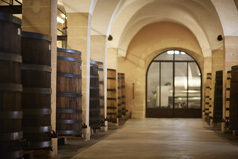 In his wineries at Beaune, Pommard and Aloxe-Corton, the traditional methods of ageing wines in oak casks are carefully observed. Currently run by the sixth and seventh Louis Latours, this great family-run House on rue des Tonneliers will do its utmost to continue for as long as possible a story that began over 200 years ago. 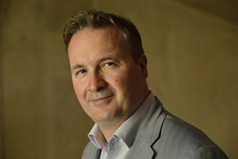 Gabriel Lebault, President of the Parliament in Burgundy builds Château Corton Grancey in Aloxe-Corton. Jean Latour moves to Aloxe-Corton where he sets up his own cooperage and starts developing a large land holding in this appellation with the acquisitions of Aloxe-Corton ‘Les Chaillots’ ; Corton ‘Les Grèves’ and ‘Bressandes’. The French Revolution liberated access to vine growing lands and facilitated the launch of new companies. Creation of Maison Louis Latour. Construction of the Corton Grancey Cuverie in Aloxe-Corton was started by the Marquis of Cordoue. The site close to the ‘Perrieres’ vineyard had previously been used for storing the harvest and was named ‘’vendangeoir’’. The Cuverie was completed by the Marquis’ son-in-law around 1834. The Louis Latour Domaine reaches 10 hectares. 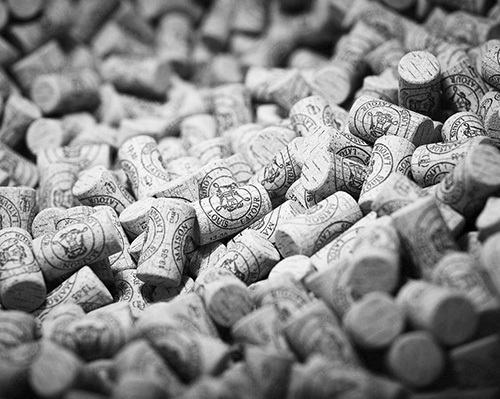 Wines from Maison Louis Latour are exported internationally, including the United States, Java, Buenos Aires, Bucarest, Bruxelles and London. The Kings of England, Austria and Russia enjoyed the wines. Up until the end of the 19th Century all the wines are delivered in barrels and later in bottle. Most of the labels were sketched by Mr Louis Latour himself and they have since then had little change. Maison Louis Latour expands its ownership activities by becoming a negociant and the offices set up in Beaune at the time, 18 rue des Tonneliers, remain at this address. From then on, Louis Latour starts showing a real taste for innovation and will adapt and develop new vinification and sales techniques. Most of the wines will be despatched in bottles as opposed to barrels to preserve freshness and elegance. Phylloxera, aphids from California arrive and start damaging the vines, destroying nearly all of the vineyards in France and especially Burgundy. When everything seemed lost, Louis Latour decided to join the battle against the disease and started replanting damaged vines while maintaining traditions of the vineyards. 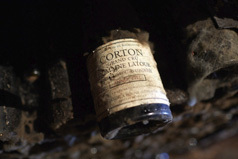 Acquisition by Maison Latour of the Cuverie, the Château de Corton-Grancey and also of 33 hectares of vines which were owned by the family Grancey à Aloxe-Corton amongst which 15 hectares were Grands Crus de Corton. Aligote grape was mainly destroyed by Phylloxera. It is decided by the fifth Louis Latour that Chardonnay will be planted instead in the vineyards located south of Corton that were previously planted with Aligote and vieux Gamay. This was the start of Corton-Charlemagne! The signature of the fifth Louis Latour is still shown today on our Grand Cru label. Acquisition of Grand Crus plots amongst the most prestigious in the Cote de Nuits, in appellations such as Romanée-Saint-Vivant and Chambertin; the wines were offered for the first time at the ‘Exposition Universelle de Paris’. During the same period and still on the ‘Cote’, Maison Louis Latour buys a 100 years old oak forest to ensure sufficient wood supply for its cooperage. Louis-Noël Latour, young agricultural engineer, is amongst those who succeeded in combating Phylloxera when in 1931 he declares that the over-grafting of Pinot Noir on resistant American rootstocks will produce extremely high quality wines. New customers are emerging, luxurious hotels and top restaurants such as the Hotel de Paris in Monte-Carlo, the Beau-Rivage in Geneva or the Ritz in Paris. 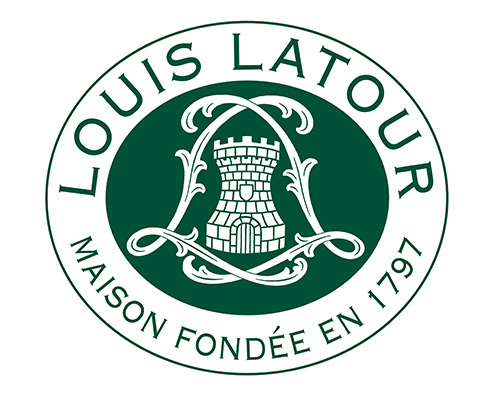 Louis Latour is rapidly expanding within those unique establishments which will start his international reputation and position Latour as a strong and prestigious brand. Latour, with another large Burgundian House, makes an equal, joint acquisition of Grand Cru Chevalier-Montrachet ‘Les Demoiselles’. The partition of this purchase was decided by flipping heads or tails, Maison Latour won the toss and so have the more prestigious half, the one adjacent to the wall. Following the 2nd World War, Maison Louis Latour stops its exportations towards Germany during the Interwar period. In his quest for modernisation and technical development, Louis Latour builds modern facilities on the outskirt of Beaune, at Clos Chameroy. This production site will see all the different stages of production and expedition of the wines and today also counts the cooperage, the printing business, the cuverie for the whites and bottling and labelling lines. Maison Louis Latour exports its Burgundian know-how in Ardèche and produces a high quality Chardonnay. Following a resounding success in the Ardeche, Louis Latour plants some Pinot Noir in the Var and establishes the Domaine de Valmoissine. The Domaine Latour becomes part of the Farre farms circuit (Forum de l'Agriculture Raisonnée Respectueuse de l'Environnement), a sign of commitment to a sustainable viticulture, using biological methods were possible, and working towards controlled vine growing. Bicentennial Celebration of Maison Louis Latour who becomes a member of the Henokiens; a group of family owned enterprises, at least bicentennial and still owned by the founding families. Louis-Fabrice Latour, seventh Louis Latour and eleventh generation is in charge of the House. Louis-Fabrice wishes to maintain the family tradition while combining modern to the traditional methods already established. The tradition is for each generation to innovate for the generations to come. Launch of a blend from the Ardeche of Chardonnay and Viognier: the Duet. This is a unique wine produced by joining the last of the ripening Chardonnay with first Viognier. They are brought together before pressing, and then the blended juice is vinified using traditional methods. International ISO 14001 Environmental Certification: this officialises our capacity to master all consequences of our wine producing activities against the environment following demanding criteria’s with complete traceability. Acquisition of Maison Simonnet-Febvre in Chablis, specialist of ‘vins de Chablis’ and well known for producing Cremant de Bourgogne and also wines from the Yonne region. Acquisition of Maison Henry Fessy; specialist in the production of wines from the Beaujolais and from the Mâconnais. The House comprises of a superb domaine of more than 70 hectares in the Crus.